Imagine you are at a party. You have been drinking just a bit. 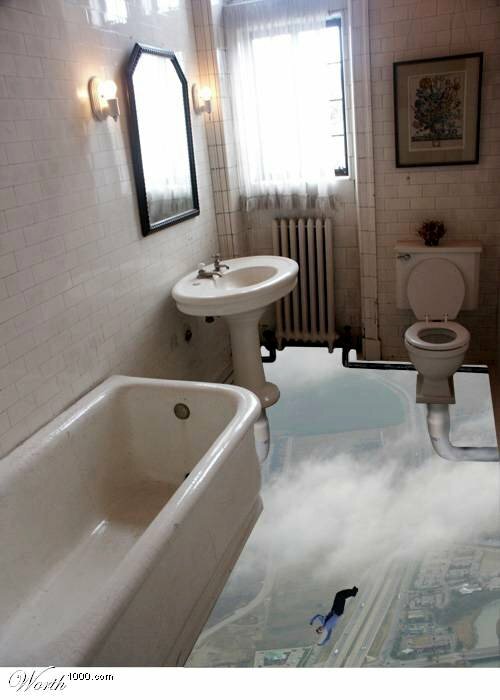 Then later you have to visite the bathroom. Now, remember, this is just a painted floor! Well, now, kind of takes your breath away. Doesn't it?